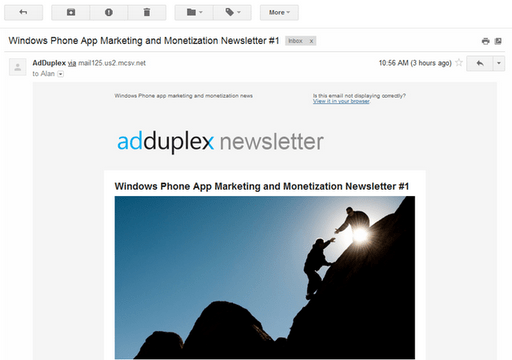 We have just lunched a newsletter about “Windows Phone App Marketing and Monetization”. Every month we will cover interesting news, articles, tutorials and other content related to promotion and monetization of your Windows Phone apps. Check out the first issue and subscribe here.